With the advent of Smartphones, people are snapping pictures everywhere and everyone has many more pictures with every passing day. Gone are the days of snapping a picture or two, almost every event has budding photographers documenting it. Folks share pictures with one click onto Facebook, Instagram, and other social networks. One problem has plagued digital photos from day one, printing them out. You can share pictures easily, but printing them out is a challenge. Why? You can easily purchase a low-cost printer to print photos from your computer or smart phone easily. Why is this a problematic process? The number of printing service providers has increased over the years, even though there has been some consolidation in the industry. In this article, we will examine the major printing services so you can select the company that fulfills your wishes. 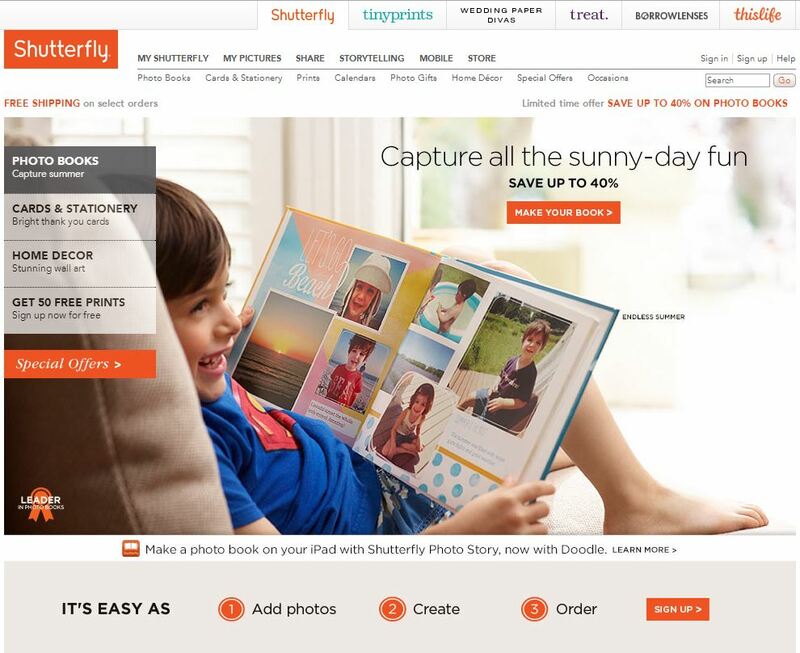 Shutterfly has been around since 1999, basically forever, in this space. They have grown over the years and also own tinyprints. They are a public company with almost $800 million in sales. They do not have physical locations, like Costco or Walgreens, so you need to wait for things to get shipped to you. You can create an online version of your photo book to post on Facebook, Or you could use their free Photo Story iPad app to also create one. Products: prints, posters, photo books, cards, stationary, calendars, iPhone cases, photo gifts, and much more. Shipping: Free shipping $30 or more. 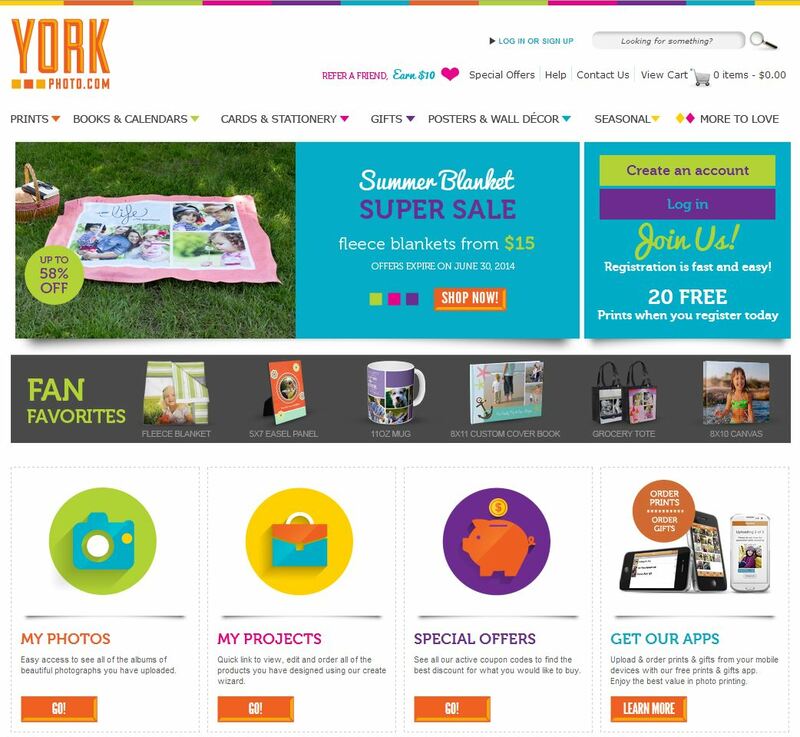 Shutterfly Coupons are available most of the time. Prices are slightly higher than other sites. Turn around time: Most products are produced and shipped within 1 to 3 business days, although some products will require additional processing time. Conclusion: Prices are slightly higher, but quality and versatility are there. 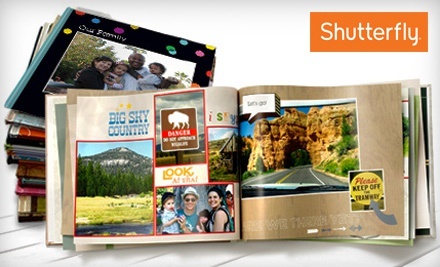 Shutterfly remains one of the best services to use. 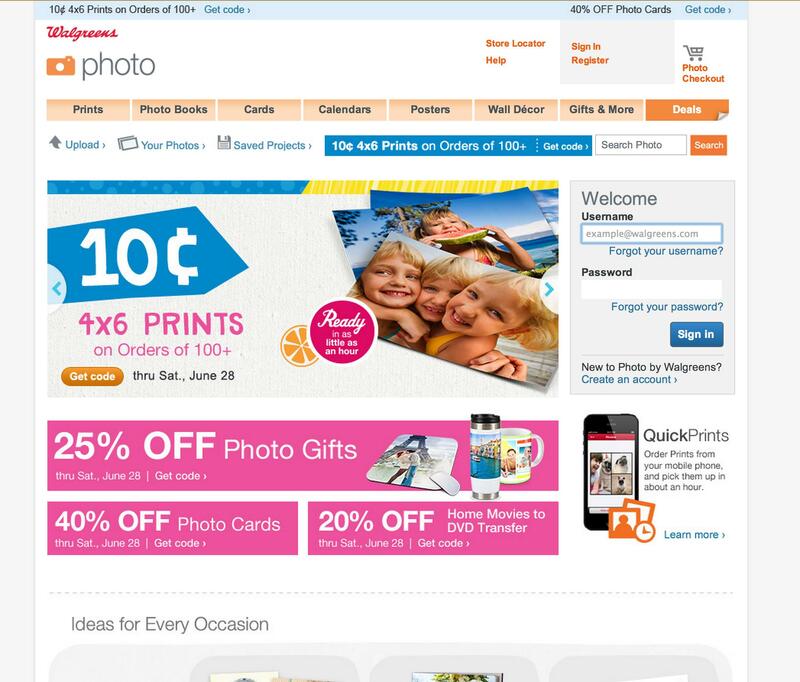 Snapfish, now owned by HP, is another online photo printing service that began 1999. 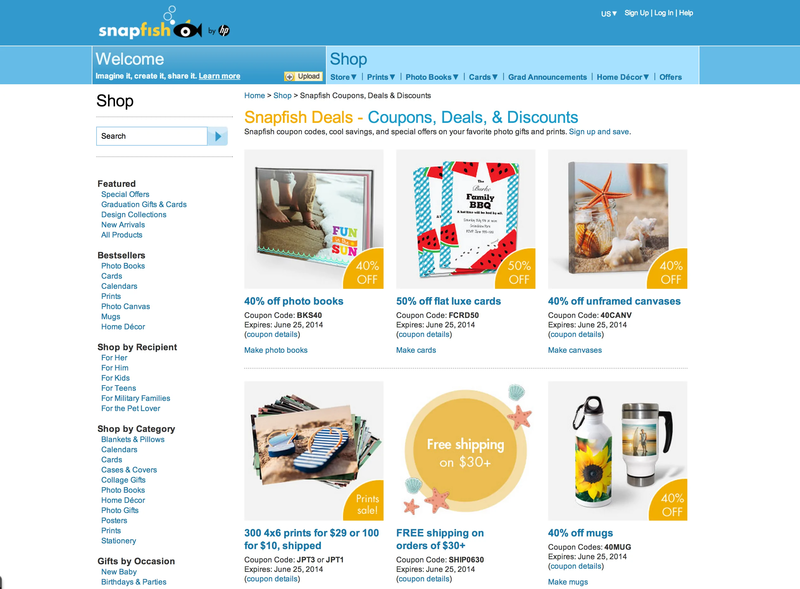 With international shipping, Snapfish hosts images, prints photo gifts and shares photos and images for over 90 million users. Snapfish can let you pick up some select products at Walmart and/or Walgreens, or have their products delivered to your home. Snapfish’s web interface is easy to use and comes with a wide selection of features. They also generally produce the highest quality prints out of all the online photo printing services out there. Products: prints, posters, photo books, mugs, home décor, stationary, calendars, blankets, and more. Turn Around Time: Depends on shipping price, with three option: standard (comes in 3-5 days), 2-day, or overnight. Photo Storage: Free unlimited secure photo storage, free unlimited mobile uploads, subscription video storage. Customer Satisfaction: 100% satisfaction guaranteed, with either a free replacement or full refund. Conclusion: Snapfish offers a great selection of high quality products at some of the best prices you’ll find. With great customer service, low prices, and high quality prints, Snapfish is one of your best choices for an online photo printing service. CVS has provided online printing for the past couple of years, with many physical locations that you can pick up your order from (or have it shipped to you home). They have the same products you would expect of any other photo printing service (mugs, photobooks, mouspads), and an impressively featured photo viewing interface. Turn Around Time: Check to see if there is a CVS near you, because you can pick up some books, prints, and photo gifts the same day you order them. Otherwise, expect 3-5 business days for Ground shipping, or pay for 2-day or overnight. Photo Storage: Free unlimited photo storage, 15mb per photo limit, only while you are an active user CVS Photo (as in you have to log in twice a year and make a purchase once a year to continue to store your photos). You can upload photos from your computer or from Facebook, Instagram, PIcasa, Flickr, Dropbox, Google Drive, and Microsoft OneDrive. Customer Satisfaction: Will replace defective/damaged products, no refund, no replacement of improperly cropped/low resolution images. Conclusion: CVS is one of the most affordable options with an easy to use interface and convenient same day pickup, but be wary of CVS’ limited return policy. Walgreens, the pharmacy that’s been around for the past century, has an online printing service that allows you to, like CVS, pickup photos from any of their physical locations or have photos delivered to your home. Turn Around Time: Walgreens also has a wide selection of products available for same-day pickup, while other products take 1-3 days. Customer Satisfaction: 100% satisfaction guaranteed or full replacement or full refund. Conclusion: With many locations and same-day pickup and decent quality prints, Walgreens remains an affordable, reliable, and convenient choice. 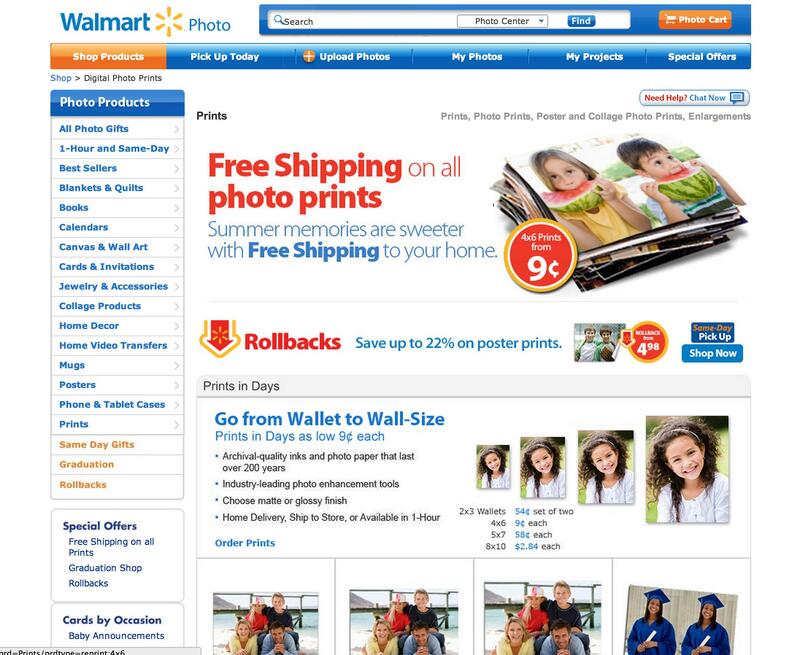 Walmart Photo Center lives both online and in every Walmart location, allowing for both easy pickup and delivery of their selection of photo products. Conclusion: For the price, Walmart is a convenient and capable choice. It has a decent selection of products, but the print quality is only ever good (not great) and Walmart’s costumer service isn't a time saver. 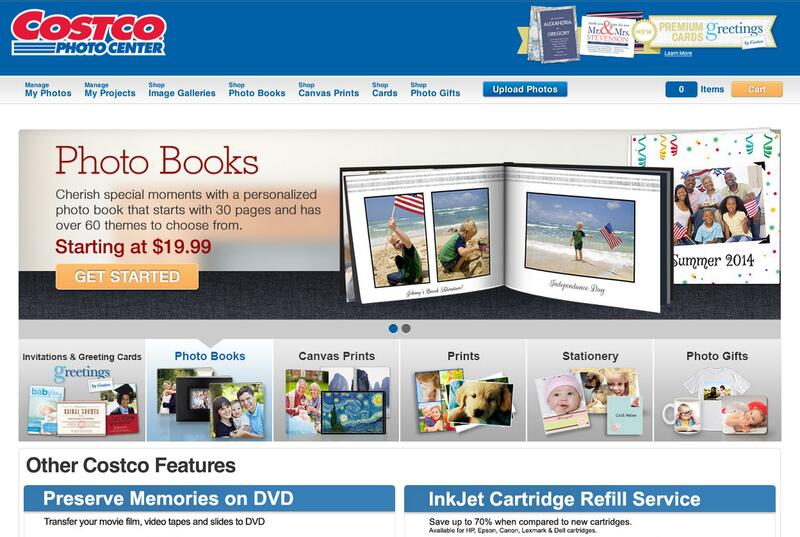 Costco’s Photo center is simple, easy to use, and straight forward. You can pick up any and all of their photo products in store or have them delivered to your home (Note: You must have a Costco membership to use Costco’s Photo Center). The quality of the prints from Costco ranges from good (not great) to tolerable (not that bad). Conclusion: Costco Photo Center provides decent prints at affordable prices with absolutely no headache. 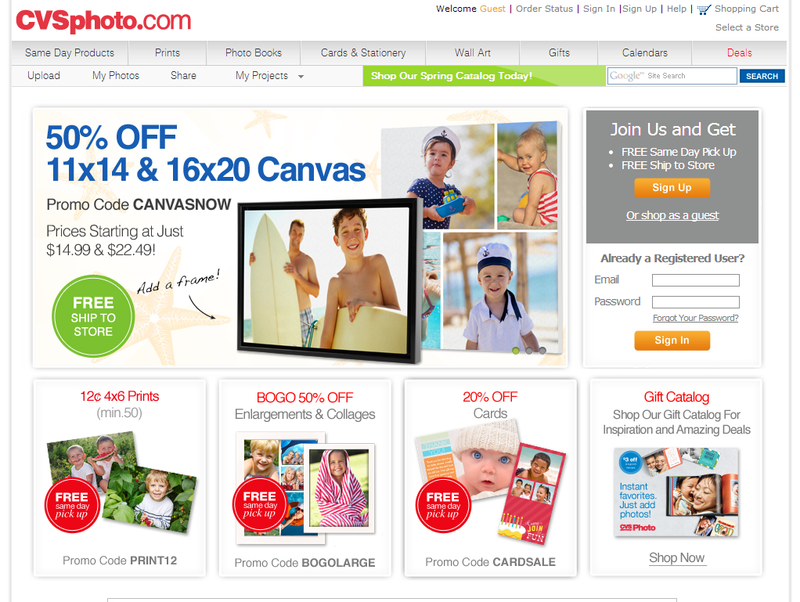 Great costumer service bundled with straightforward tools for designing/editing prints makes Costco a solid choice. AdoramaPix is a photo printing company that does just that: print photos. 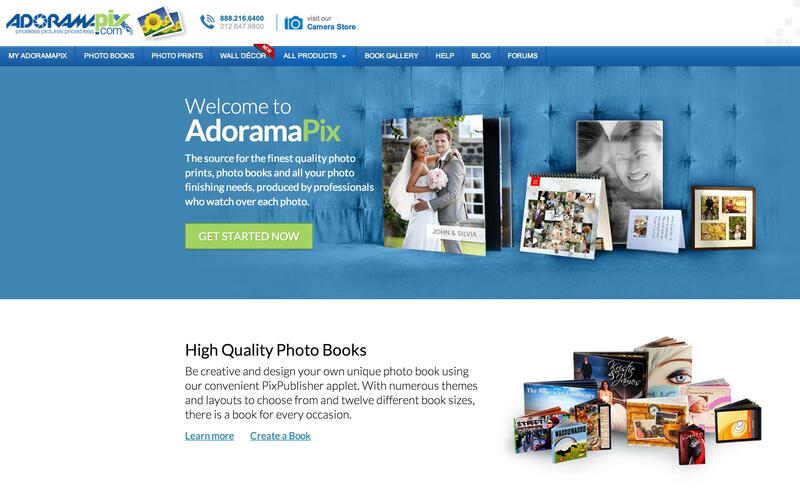 From their original New York City location in 1979, AdoramaPix has been a place for professional and amateur photographers alike to develop and print their photos online and in their store. While they don’t have much in the way of photo gifts such as keychains and t-shirts, they promise excellent color and features aimed at photographers of any skill level. Turn Around Time: 2 days for processing, plus Standard 3-5 day shipping. Photo Storage: Free unlimited photo storage as long as you have an account. Customer Satisfaction: 100% satisfaction guaranteed or replacement/store credit refund. Conclusion: AdoramaPix does a great job of what its been doing for the past 40 years: printing pictures. With its excellent color quality, selection of high quality printed products, and customer service, AdoramaPix is an excellent choice for hobbyist photographers and beginners alike for ordering great prints. York Photo originally was known for their mail-in film development service, which provided quick and convenient film development and printing for both photographers and hobbyists. Now, alongside their development service, York provides an easy to use online photo printing service with great high quality prints and photo gifts available for delivery (You cannot pick up photos at their physical location). Customer Satisfaction: 100% satisfaction guaranteed or full replacement or refund. Conclusion: York Photo’s online photo printing service is easy to use, produces high quality photo gifts and prints, but for a price that's on the higher end (especially compared to other high quality services like Snapfish and AdoramaPix).